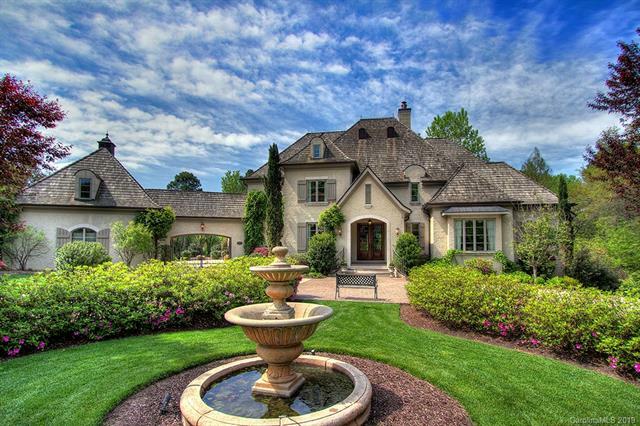 French-inspired home in popular Pellyn Wood! Main level with 7" Long Leaf Pine floors. Walls and 2nd floor hallway are Venetian Plaster. Chef's dream Kitchen opens to Den and Breakfast area. Rich, heavy moldings throughout and meticulously upgraded bathrooms with designer tiles. Stone fireplaces, bead board ceilings with washed beams. Upper level boasts a second living quarter, a suite with a kitchenette. Media and Playroom are also on Upper Level. Basement with sauna, second Master Suite, wine cellar and exercise room. Private backyard has outdoor kitchen, pool and hot tub area with fireplace! STUNNING!